One of the queerest shows on Netflix is set to return for a second season just seven months after its October 2018 premiere. Chilling Adventures of Sabrina takes us back to Greendale, where half-witch/half-mortal Sabrina (Kiernan Shipka) is embracing her newfound powers since season one. The trailer – set to The Runaways’ Cherry Bomb – shows Sabrina’s time torn between her two love interests Harvey Kinkle (Ross Lynch) and Nicholas Scratch (Gavin Leatherwood), her high school pals and the magical Academy of the Unseen Arts, and the forces of good and evil. 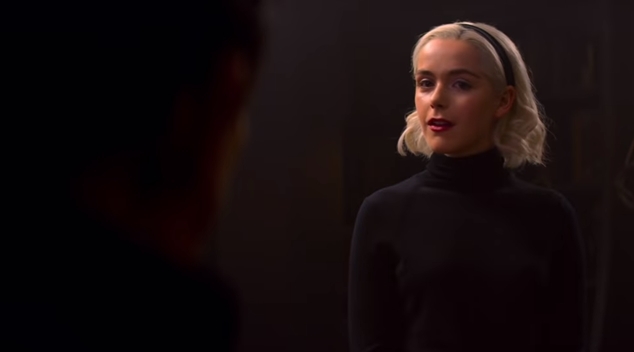 Fans can also look forward to the return of Sabrina’s fearless transgender pal Susie (played by non-binary actor Lachlan Watson) and her pansexual cousin/warlock Ambrose (Chance Perdomo). Check out the trailer below. Chilling Adventures of Sabrina: Part 2 hits Netflix on April 5th.